[Warning: Spoiler alert ahead for those that haven’t read The Infernal Devices trilogy] The Shadowhunters enter the Downton Abbey era in The Last Hours. Will Herondale is head of the London Institute, where he lives with his wife Tessa. But now it’s their children, James and Lucie, who take center stage, alongside their parabatai, Matthew Fairchild and Cordelia Carstairs. 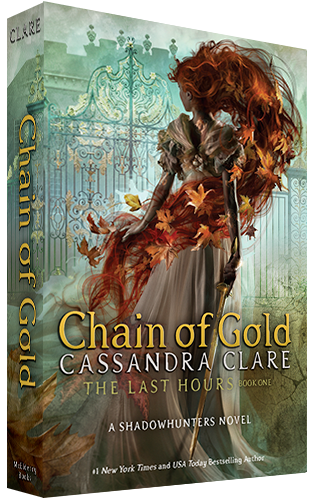 Their adventures will begin in Chain of Gold, coming in 2020!